Hall of the Mountain King: Review: In Flames, "Sounds of a Playground Fading"
I like Sounds of a Playground Fading. And I like it for a lot of the same reasons that I liked Reroute to Remain. First off, it’s a very melodic record, and I tend to lean toward the more melodic end of the metal spectrum. There’s a certain, almost progressive element to the music here that I really like. Second track “Deliver Us,” for example, is certainly a more accessible song than anything from their early work. It’s not a bashing, in-your-face screamer, but there’s still a lot going on, and it’s a quite memorable piece. There are also some great grooves on this record. The riff in “All For Me” right before the verse is absolutely undeniable. I don’t know how anyone could keep from bobbing their head to the opening of “Where Dead Ships Dwell.” The electronics get away from them in places in that one, and the chorus could use a little more beef, but it’s still entertaining. 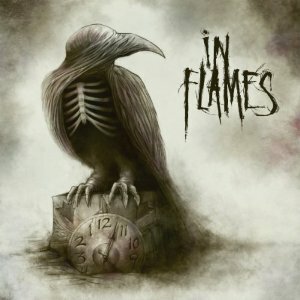 Yes, I realize that most In Flames fans are not looking for grooves, but they’re here, and they’re good. The record is not a complete departure for the band. There’s plenty we’ve heard before on their last few records, and much of their body of work since Reroute to Remain has been leading up to this one. The hard rock and progressive influenced “Fear is the Weakness” could have appeared on any of those releases. While it sounds like a song you’ve heard from In Flames before, it’s also still catchy as hell. To me, some of the least interesting pieces on the record are when the band tries to dig into its melodeath past. A song like “The Puzzle” is OK, and there is a nice little groove riff in there, but it tries too hard to walk in both worlds and doesn’t succeed in either. 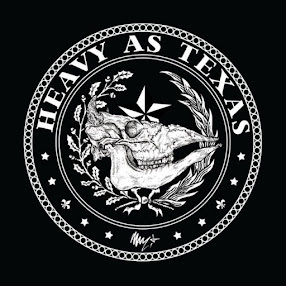 It’s not really delivered with enough conviction to act as a bone thrown to fans of the band’s heavier stuff, and seems kind of out of place on this record. Likewise, “Enter Tragedy,” opens with a pretty good grooving riff and has a decent melodic chorus, but it seems to kind of get lost in the verses a bit. It’s angry there, but not angry enough. One of the more interesting pieces to me is the trippy and dark “The Attic.” There’s a strange Pink Floyd thing going on there, and while it’s not exactly catchy like some of the other songs, there’s something in it that keeps bringing me back. Don’t get me wrong. There’s some utter crap here. “Jester’s Door,” a title which is obviously going to make fans think of the band’s earlier work, is a short, spoken vocal piece with a dance-like groove fading out at the end. It’s not the worst song here, but it doesn’t make a lot of sense. The worst would be album-closing ballad “Liberation,” which had even me asking what the hell they were thinking. It’s a full-on pop song with few metal elements. It’s not a very good song at all, and definitely not the last impression that I’d want to leave on an album that’s already going to alienate some fans. Though, I guess you could argue that their last few albums have already done that job. Sounds of a Playground Fading faces a few challenges with fans of the band’s past work, not the least of which is the departure of founding member Jesper Stromblad. By now, though, I think most fans have come to grips with the fact that In Flames will continue to push forward with a more melodic and accessible style, and they’ve either accepted that and adapted with the band or moved on to something that’s more their taste. If you’re one of those who has adapted, you’ll likely enjoy this one quite a bit. It has more depth and heft than A Sense of Purpose, and I think it’s probably their strongest work since Reroute to Remain. Yeah, I know for some that’s not high praise. And for those who have moved on, well, it’s probably best that you keep moving.